Specify custom visibility rules for template properties, depending on the values of other properties. 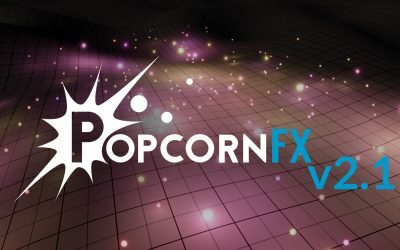 Added missing v1 features such as UV flip, TextureU in ribbons. The bloom shader is now artefacts-free. A proper scene tone-mapping post-FX is still needed. 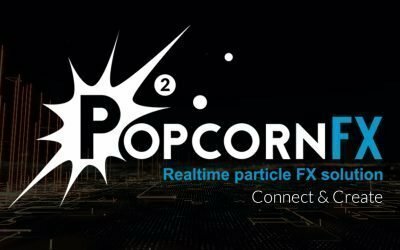 PopcornFX v1 was only partially coordinate-system independent. Making effects truly coordinate system independent and work flawlessly between, for example, UE4 and Unity, was a hard and painful process. The v2 runtime and editor are much more robust regarding coordinate systems. We’ve fixed a lot of issues. Now, node properties are aware of coordinate-systems through the “3D_Coordinate” semantic when exposing a 3D vector property and the editor supports hot-switching coordinate systems while an effect is running. This makes it much easier to check coordinate-system independence correctness in an effect or template you’re working on. There is a new Tutorials package available in the “Online packages” tab of the project launcher. 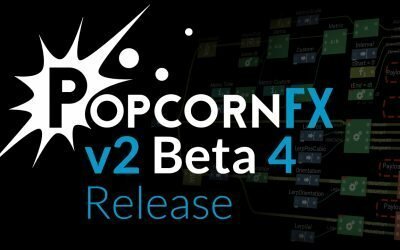 It contains various annotated effects that will take you from the basics of creating v2 effects, through the different concepts of v2.0, all the way up to more advanced stuff. We will keep adding effects in the future beta builds. 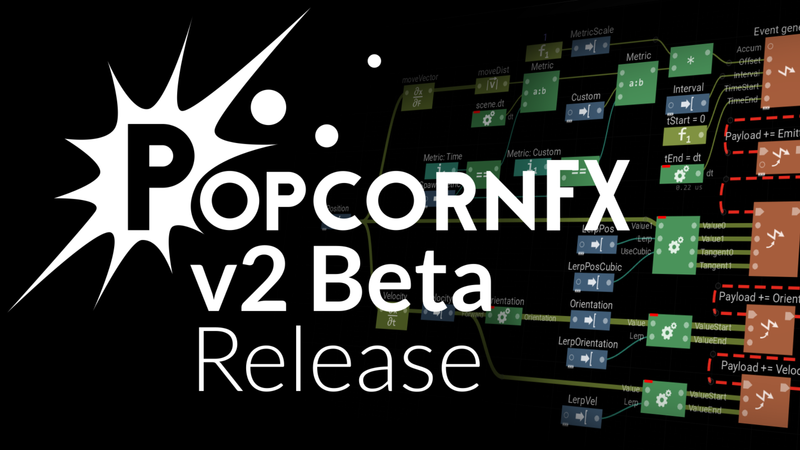 We’ve added many bugfixes, and a couple of optimizations. Fixes a regression where doing a Ctrl+Z to undo the creation of a template, while the template was being viewed in the nodegraph panel, caused a crash. Fixes “Scripting Reference” item under “Help” menu, was opening v1.13 online scripting reference, Now opens v2.0 scripting reference.